Well, summer is over and school has started for my oldest. I am hoping to get the little one in pre-school this year also. The house is so quiet and peaceful now. I have more free time to get back into my hobbies. Baking, of course, being one of them. I had a package of Root Beer Float Oreos in the pantry screaming to be used. I am surprised that I had not eaten them all. I love root beer and so does my daughter. I know it's a bit on the sweet side, but once in a while I like to have a few sips. 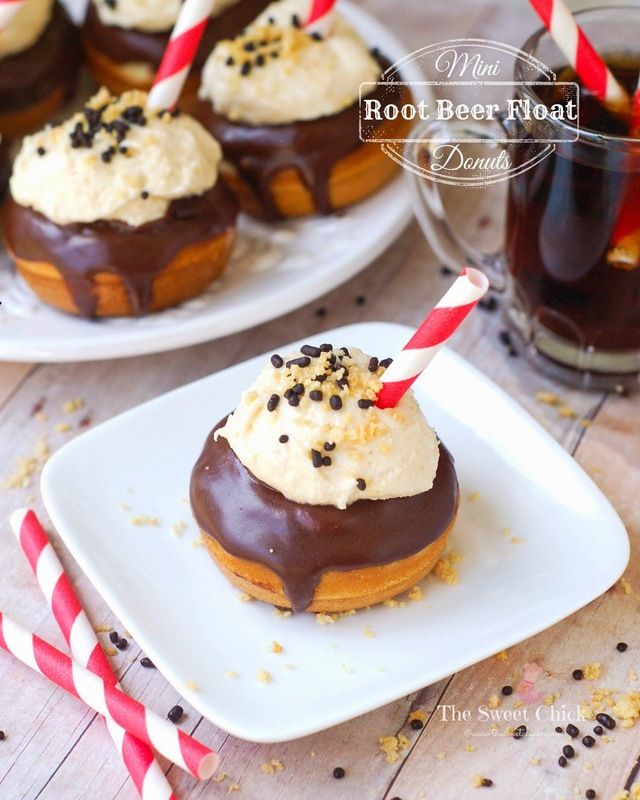 That's why I love these Root Beer Float Mini Donuts I made with the Oreos, because they taste like root beer, but they aren't super sweet. If you like root beer, you have got to try these Root Beer Float Oreos. I know not all the crazy Oreo flavors are good, but I can vouch for these. These do taste like a Root Beer Float. I used the same recipe to make these as I did for the Birthday Cake Oreo Mini Donuts I made for my daughter's birthday party. 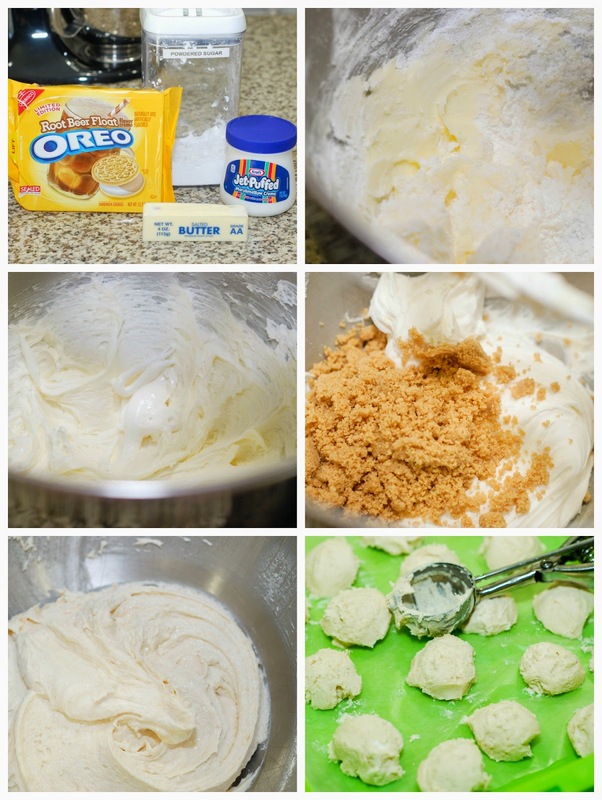 Just crush up the Oreos and mix them in the batter. I baked them in my Babycakes machine but you can use the oven also. The donuts had a light hint of root beer flavor, just enough to make them tasty. I knew I was going to be adding more root beer flavor in the frosting, so it was perfect. You can just frost them and skip the glaze, but I wanted jazz these babies up a little. So I dipped them in a chocolate coating and scooped the frosting on like a scoop of ice cream. Unfortunately, I didn't have a mini scoop, so I just used a regular cookie scoop and filled it only half way. I added more crushed Oreos to the frosting. Then I froze the frosting to be able to make my scoops. Then I put those scoops back into the freezer until it was time to assemble the donuts. That way they didn't fall apart. After all the pieces are assembled you can just keep them in the fridge. These would have been so cute for my daughter's Donut Birthday Party. I love how creamy the frosting is and how well it goes with the chocolate glaze. 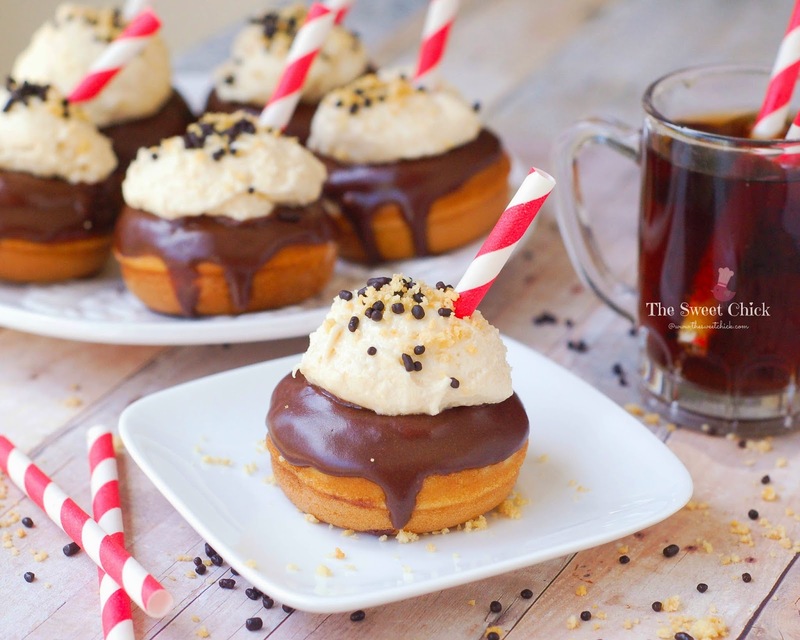 Two perfect toppings for these Root Beer Float Mini Donuts. You've gotta try them! 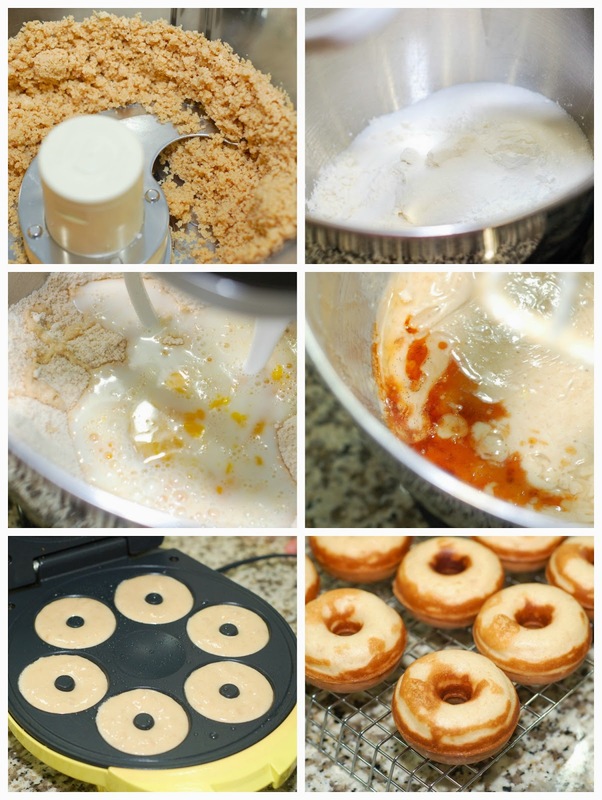 Preheat your Babycakes Mini Donut Maker. 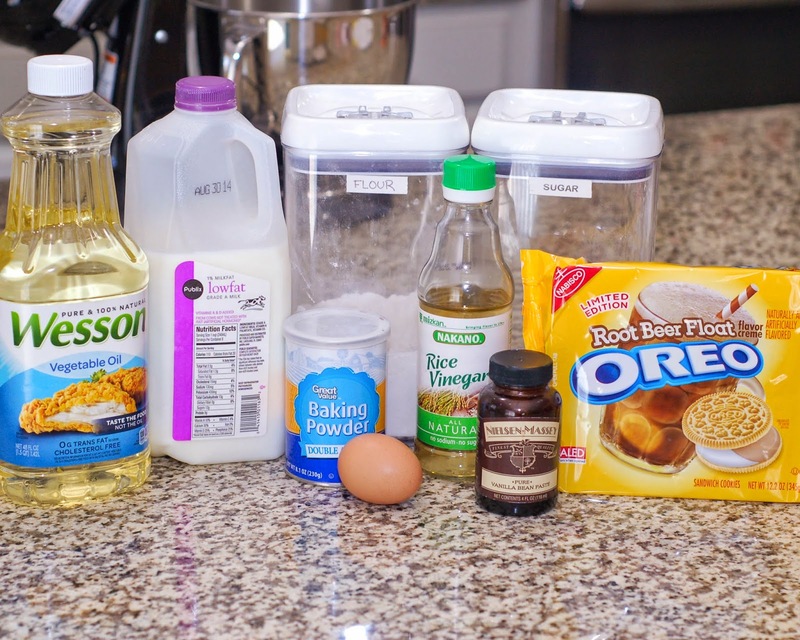 Using a food processor, crush the Oreo cookies until you yield 1 1/2 cup of mixture. In a medium bowl mix the flour, sugar, baking powder and crushed Oreo cookies. Next add the egg, buttermilk, milk, vegetable oil and vanilla. Using a hand mixer, blend until mixture is smooth. Fill a piping bag or a Ziplock bag (with tip cut off), with the batter and fill each donut reservoir of your donut maker with about 2 tbsp of batter. Bake for about 3-4 minutes or until toothpick inserted in center of donut comes out clean. Place hot donuts on cooling rack and cool completely before glazing. In a small bowl whisk together powdered sugar, cocoa, milk, and vegetable shortening until smooth. You want the glaze to be a bit on the thick side. Dip the tops of each cooled off donut in the mixture ,then place back on the cooling rack until the glaze is dry. In a stand mixer, cream together the butter and the powdered sugar. Then add the marshmallow fluff and mix on medium until light and fluffy, scraping down the sides of the bowl as needed. Add the crushed Oreo cookies and mix until well blended. Scrape down the sides of the bowl one last time and place frosting in the freezer for about a half hour. Place scoops on a waxed sheet of paper lined container and place back in the freezer until you are ready to assemble the final product and the glaze on the donuts has set. Once glaze has set, remove frosting scoops from the freezer and carefully place on top of the donuts. Feel free to add crushed Oreo bits, and/or sprinkles to the tops. If you are using a mini donut pan, bake your donuts in the oven at 425ºF for 3-4 minutes or until toothpick inserted in middle of donut comes out clean. As a substitute for buttermilk, I used 1 tablespoon vinegar (white or rice) plus enough milk to equal 1 cup. 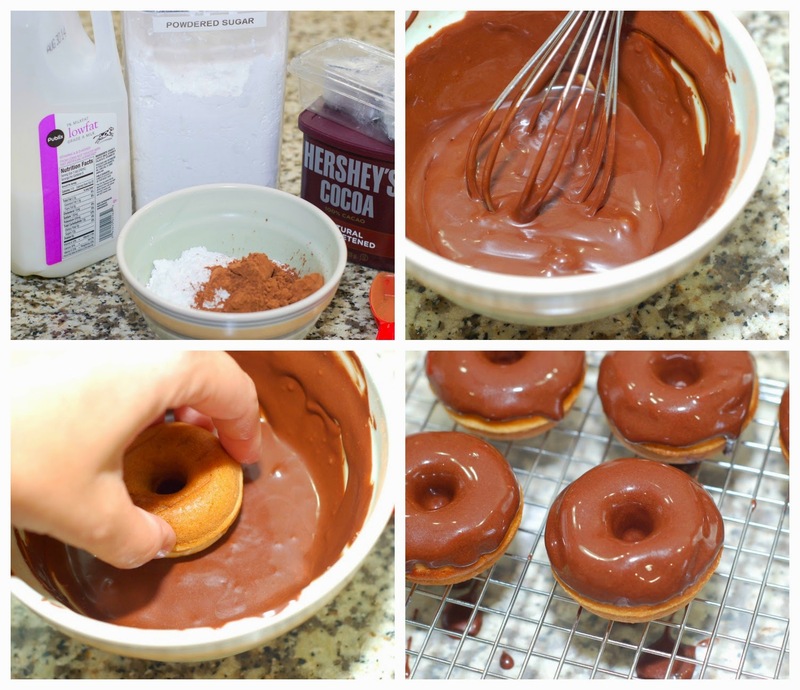 If you are going to skip the glaze and just frost the donuts, then half the frosting recipe. It will be enough. You can just drizzle some chocolate syrup over the frosting if you like. I made the frosting before the glaze, so it was ready when the glaze had set. 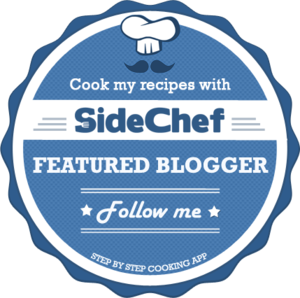 I just saw these on foodgawker - how adorable! Love it!